"Get ready. It’s on the horizon"
The fact that Sega is working on a new Sonic racing title isn't a secret anymore; the company teased the logo at SXSW, after all. A lot of you have been waiting for news and information, and you’re very curious about what that title was that we teased back at South by Southwest, and at least in the near future, you might be hearing some more news and information about that. So hey, that’s coming up. Get ready. It’s on the horizon. Could this hint at a reveal at E3, or perhaps beforehand? Webber also mentioned that Sega will have more news about its plans soon, and that it has "cool" stuff to reveal. My guess is they'll show it at E3. Why wouldn't they reveal it at E3 at this point? They can get a lot of exposure if it's part of the Nintendo Direct for example. Hope it will be good. Loved all-star racing transformed. Still find it weird that Sonic needs a kart to compete. The universe is rich for track building and characters, but it just doesn't sit right with me. Anyway, looking forward to see what this brings to the table. This seems like a game that should be revealed before e3 imo. Just as we've been seeing for the past few weeks. Reveal before e3 so you at least have a day or 2 of your own in the major news cycle, then have a deeper dive at e3 during the tree house or something equivalent. For a smaller game like this I think that would be the best route. Sonic and all Stars Racing Transformed was amazing, but the lack of 60fps and limited draw distance on WiiU made it less enjoyable. Let's hope a potentially Switch port fares better on that department. Looking forward to it. Transformed was a lot of fun, despite most of Sega's characters being bargain bin quality. I played Transformed on Steam, and it smooth as silk. @Shellcore it's a handicap, no one would be able to catch up with him on foot. Or possibly a technicality: you need a vehicle for a vehicle racing competition, no one would show up to horse racing on a motorcycle. @geox30 I would be all over a 60fps Transformed. No announcements of announcements of announcements, please! Fingers crossed. Transformed was perfect so they've got a lot to live up to! @SmaggTheSmug Both make me feel a little better. I really hope this comes to Switch. I hate even having to worry about that. This game has some huge shoes to fill. Sonic All Stars Racing Transformed is easily my favorite cart racer. 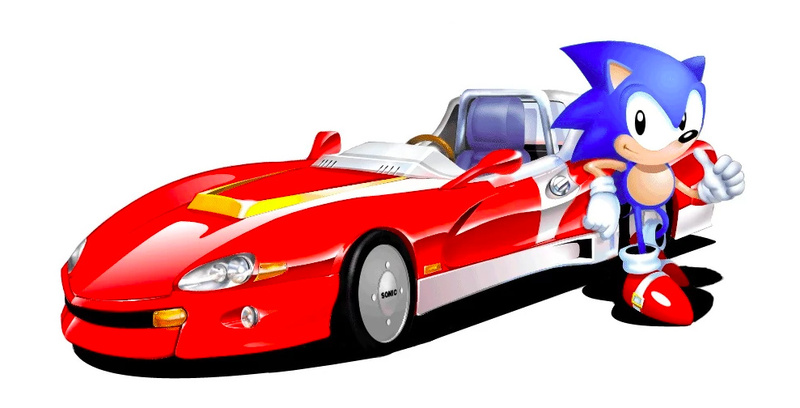 I loved Sonic and All-Stars Racing Transformed. Played it to death on Wii U and Vita. Even the hamstrung 3DS port was fun. This next Sonic Racing title has a lot to live up to, both in terms of its predecessor and in tearing me away from the evergreen Mario Kart 8 Deluxe. That’s if it’s even coming to Switch of course. Fingers crossed on all counts! An announcement about an announcement? Okay Sega I'll let you know when I'll be interest in it by letting you know I am not interested in it yet. @The_Pixel_King I love transformed i hope this is good and i think this is coming to the the switch as a sonic game I hope it is more tracks and racers from other sega games. That's cool, as Sonic would say. Transformed is amazing. Sega, make Sonic & Sega All-Stars Racing backwards compatible already! Transformed plays smoothly on Xbox One. @Mando44646 I agree, it feels like a proper racing game while Mario Kart has become Mario Party. If you own a capable PC, try it on Steam. It is really great! I'll most likely stick with Mario Kart for my arcade style racing needs. I gave the series a try in the past and I couldn't get into it. Love the previous two games so I'm really excited for this new one. Assuming they’re using Sumo Digital again, it should be good! That said I’d love Sega to have Sumo do a new Outrun!! I enjoyed Sonic Racing Transformed on Vita - especially the Afterburner level. I'm not sure I'd buy a new game on Switch though - purely because I've already got a pretty good Kart racing game on Switch. I'd really like to see a more realistic looking racer on Switch - that isn't Gear Club Unlimited. I loved Sonic and All Stars Racing Transformed. Liked it much better than MK8, if I’m being honest. Why wouldn’t it come to Switch at this point? The previous two were on the Wii and Wii U. The only Sonic games that a Nintendo console missed out on since Sega went third party are ‘06, the two (?) Rivals games, Free Riders, and Generations (which Nintendo technically still got, I’ll remind people). Most of those, with the obvious exception, weren’t exactly games to miss out on. That, and the fact it’s been 7 years since Generations, makes me fully believe we’re getting it. I could be wrong, of course. @Orin41 Oh I’m with you in that I’m sure it’ll come to Switch. I only said 'if' in my comment (#20) as nothing has yet been confirmed. Is it bad that I have never played a Sonic racing game even though I am a Sonic fan?? Sonic racing transformed was pretty cool but it had nowhere near the level of polish that Mario kart 8 had,still looking forward to seeing more of this though. I really, really liked Sonic and Sega All-stars Racing transformed although i only played on PS vita. To be honest, i even preferred that game over Mario Kart for quite some time because i felt that the gameplay is a bit more refined, especially in terms of the items power (too many overpowered items in Mario Kart imho). So, i am definitely interested in a new Sonic racers game. @Shellcore I always think of it as a way of being fair. Like how I'd rather go karting with Ussain Bolt rather than having a track race, because there's no contest on foot. @ZockiGalore S&ASRT is my favourite kart racer of all time. Just hope it's not another Sonic and all Stars Racing Transformed, only good thing about that game was having SEGA's other stars (like Nights, and Alex Kidd) the controls and driving is just plain awful, no was as good as any of the Mario Kart games or heck SEGA's other Arcade racers. Really hope it's a improved version of Sonic R since that's the perfect idea for a Sonic game, a platformer mixed with racing, as well exploring the tracks as you would in a Sonic Adventure style game. if it has to be another kart clone, please get the driving right this time SEGA. You aren't reinventing Daytona or Virtua Racing here! Never played a sonic racing game before and after hearing that people liked Transformed more than Mario Kart 8 (which I loved) I'm intrigued. Add me to the long list here that vastly prefers Sonic All Stars Transformed to Mario Kart 8. Both excellent games, but Transformed is absolutely sublime. Hope it's related to All Stars Racing Transformed or a sequel. If it happens then definitely getting it on day 1! I loved both Sonic Racing games, even Sonic R is a game from my adolescence I have fond memories of. I don't know about them being better than any Mario Kart, I doubt it, but I love them anyway. And it's sad people assume they're bad just because Sonic Drift existed. People doesn't even know they're really good. Anyway, the new one being Sonic-related only worries me. If they go that way it will be a step backwards. These games need to be Sega's history celebrations, with all the nods and references and an all-star roster. @ClassSonicSatAm It seemed to control better and was less buggy on Vita. Still, it is one of my favorite games of all time. At this point for me it depends on what characters are in it. If not an all stars game, I’m out. @rockodoodle Dunno I recently brought it again for the Vita and still seem pretty bad, seems worse then the home console versions. I was hoping they'd make a new Sonic Racing game. Mario Kart 8 Deluxe was a nonstarter for me because I had the Wii U version, and nothing in the remaster seemed to even remote justify buying it again. And while Sonic ASR had some wonky controls and lacked the polish of MK8, I think it might actually be better as a single player game. @TheFox it was nice to have the full version, granted I really didn't play much in battle mode. Plus it was cool to store two items. I have 40 hours on it, which is a lot for me.